This funny photo of a Black-capped Chickadee checking out a decorative nestbox was taken by Clare of Richmond, B.C. 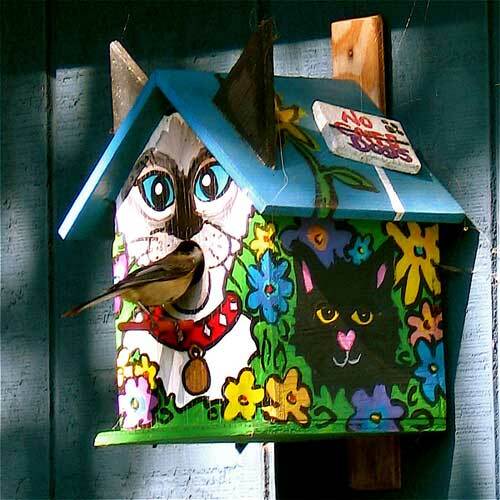 The chickadees ending up nesting in the box. Unlike many decorative boxes, this one is not too deep, and does open from the top for monitoring and cleaning. This spectacular close up of a Black-capped Chickadee was taken by Judy Derry of NY, using a Canon S31S. She actually took the shot through a window. 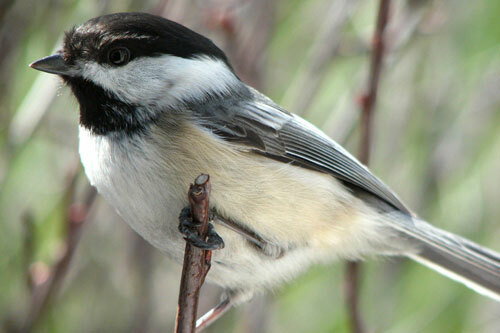 She had placed black oil sunflower seeds on the outside window sill, and the chickadee landed on the bush just outside.